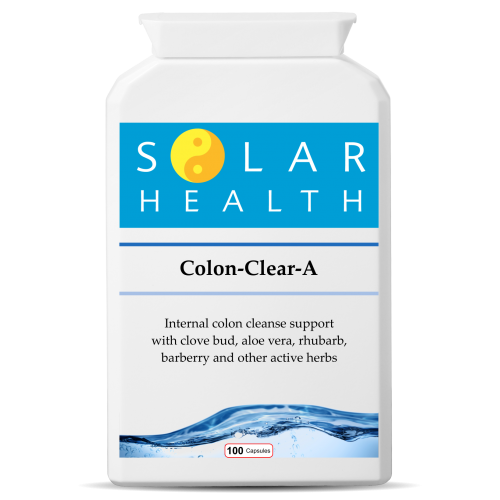 Colonics are one of the most effective ways of cleansing the body (unless otherwise contraindicated). Colonic hydrotherapy involvesthe gentle rinsing of the colon (or large intestine) with warm water to remove encrusted faecal matter, gas and mucus, helping the body to better absorb nutrients and leaving you feeling healthy and lighter. Generally, the ideal time for food to make its way through the body is eighteen to twenty hours but in the UK this is now around sixty to seventy hours. With over 20,000 new cases of bowel cancer being diagnosed each year it’s no wonder that laxatives make so much money for the pharmaceutical companies. In the 21st Century, we are bombarded with toxins and chemicals that our bodies are not designed to process or eliminate – air pollutants, chemicals in soaps, shampoos, toothpaste, beauty products, household cleaners, electromagnetic fields, drugs, processed foods etc. Added to this is stress (including emotional stress), high sugar diets, trans fats, excess dairy foods and too much red meat and the body becomes too acidic and stops coping. The body creates mucus which firstly gets stuck in the colon and then gets impacted, affecting muscle tone and reducing the space through which waste can move. Our colon’s delicate balance of internal bacteria is easily disturbed, be it through factors involving mental, emotional or physical stress, environmental pollution and electro-magnetic influences, to poor eating habits, modern lifestyles, various toxic substances which are often daily by-products of processed and badly digested foods, certain drugs, smoking, and general stimulants that we become addicted to. Colonic hydrotherapy is therefore helpful not only in general cleansing, but is important for your wellbeing. Bowel problems are without doubt part and parcel of stress on many levels and with stress becoming a modern day epidemic, colonics are a great stress buster and rejuvenator. Most people quickly experience improved mental and physical wellbeing, depending on the amount of their toxic load and the lifestyle they have lead. Your therapist will advise you on the number of initial treatments required to help you and how frequently you should have follow-ups to remain in a healthier state. In the hands of a properly trained therapist colonic hydrotherapy is not only safe, but may be beneficial. The equipment used is disposable and and the treatment room is cleaned and disinfected between each client. The bowel’s natural bacteria is not disturbed to any large degree, as it repopulates within twenty-four hours and with far more efficiency after a colonic than before, as toxic matter is removed good bacteria stands a far better chance of dominating and a probiotice is given following a treatment as well as aftercare information.